Must Know Social Media Trends of 2018 | SeedX Inc.
It’s becoming more and more important for brands to connect with their audiences across a range of social media platforms. However, catching users’ attention is harder than ever as competition increases and our attention spans have decreased to 8 seconds. Each day, an average user scrolls through 300 feet of content, giving brands a tiny window of time to grab the users’ attention. How can your brand build ideas that work best? Here are seven key social media trends of 2018 that you need to know! With organic reach on social media constantly dropping, businesses are looking around for alternative and creative ways to reach their audiences. One of those ways is user-generated content. Many major brands such as Airbnb, TOPSHOP, and Starbucks are reposting user-generated content as a part of their content strategy. If you’re still not certain why you should use user-generated content instead of content created in-house, note that UGC featuring a brand drove 7 times higher engagement than brand-generated Facebook posts. Also, 56% of people are more likely to buy a product after seeing a positive customer-generated post of it. Influencer marketing is not a new thing and if you want to stay competitive in 2018 you need to join the trend. Customers want authenticity and brands want to reach new customers. Due to the changes in Facebook and Instagram algorithm, it is harder for brands to reach people organically, so influencer marketing is the answer to the reengaging customers in ways they love. Mind one thing – viewers are bored of seeing brands use any influencer with over 10 000 Instagram followers to promote their content. That’s why many brands use micro-influences, and you should do the same. Micro-influencers are “regular” people with no more than 30 000 followers. *They have special connections with their niche audience – Macro-influencers, such as Kim Kardashian or Chiara Ferragni have a huge and diverse fan base, located all over the world. If you’re not a multinational company, using macro-influencers will do you no good, because you need a *very specific, niche and local audience for your brand. *They are authentic – Micro-influencers are real people with a passion for a specific topic (such as traveling or sneakers). They spend their holidays and days the same way as any other person, which makes them more relatable, and their product reviews would be more genuine and authentic. *They will not cost you a fortune – On average, micro-influencers charge around $180 per post. If you’re lucky and some of them love your product so much, they will agree to promote it in exchange for getting the product for free. *They are easier to connect with – Thanks to the popularity of influencer marketing in 2018, we now have numerous platforms with a huge influencer database. As mentioned, there are many influencer platforms available in 2018. We recommend using Tribe Group or Speakr. Choose the industry you’re operating in, look what influencers are available and contact them using one of those platforms. Snapchat, Instagram, and Facebook stories have led to the popularity of ephemeral content – content that is shared for up to 24 hours and then disappears forever. Ephemeral content allows you to be more authentic. Having stories that appear at the top of your follower’s feed helps keep your brand at the top of their minds. There are 250 million stories every day, and you need to find ways to make yours count. How to create ephemeral content easily? *Go behind the scenes – For most brands, this is the most popular use of stories, allowing you to share more of your brand with followers. Giving users a sneak peek into your daily routine will make them feel special. Are you organizing an event? Document it with your stories! *Deliver special offers – Offer something your viewers can’t access anywhere else on other social media platforms. That will give them a reason to watch your stories and it adds value for them. Some simple and effective ideas? Promote special offers or offer a discount code! *Influencer takeovers – If you’re already working with influencers, create a story takeover. They can share what their day looks like, or give some useful tips about your product/service. *Q&A – It is very useful to have Q&A prepared, and instead of doing it the traditional way, create Q&A stories. And if you’re using Instagram, add these stories to your Highlights so your fans can access them at any point. We are also aware that you cannot record all the stories sometimes, but there’s a solution for that as well. Canva has hundreds of prepared stories templates that you can edit. We suggest using Pinterest for inspiration and Unsplash for finding free stock images. If you’ve been following social media news this year, you know how the new algorithm ranks posts – the more time people spend on your post, the better ranking you get. That’s why video is not optional anymore. It is a key technique to attract the attention on your social media channels. Buzzsumo did a research on 880 million Facebook posts in 2017 and found out that video posts have the highest average engagement and twice the level of engagement of other post types on average. Augmented Reality and face filters have grown in popularity over the years, especially when Snapchat and Instagram made them accessible and easy to use. However, what is interesting about the face filters is the advertising ability. Snapchat allows advertisers to create custom and branded face filters for the of its users over a period of time. With the newest iPhone X using facial recognition and augmented reality technology, social media networks are likely the first to dive into the trend. Similarly, many brands started using AR to project their products into the homes of social media users through special filters. One of the best examples is IKEA’s rolled out “Place”, an app that allows users to preview furniture in their home before buying. It is a great way to increase conversions by showing customers how your products will look in the surroundings of their own home. If you plan to join this trend, make sure that you don’t use AR for the sake of it. It’s important to add value for the user and that your content is shareable or engaging. Incoming social messages to your brand need a response, but what if your business receives hundreds or thousands of messages? The answer is – chatbots. Chatbots are no longer robotic and clunky machines they once were. They are able to provide an instant connection with customers from all over the world. If we look at the history of chatbots, we can see a major spike throughout the previous year, and that growth continued in 2018 as well. According to Gartner, 20% of business content could be machine-generated this year. Chatbots give brands the chance to interact instantly with their customers in a way that feels personal. For Facebook Messenger alone, there are more than 100 000 chatbots available to give product guidance and take actual orders from customers. To create customized chatbots for Facebook Messenger, use tools such as Chatfuel and It’s Alive. You can also add chatbots to your e-commerce website. For that purpose, we recommend using Zen Desk’s Live Chat. Social ROI depends on your organization’s objectives – brand awareness, revenue, customer satisfaction, engagement, etc. Generally speaking, social ROI is the sum of all social media actions that create value. *You can better understand customer perceptions, preferences, conversations and motivations. In short, if you want to stay relevant in the very competitive market, you must measure your social ROI and take the results to adjust actions when needed. How to setup and measure social ROI? Social metrics such as followers, likes, comments, and shares are important, but whatever your content strategy is, you should not rely on those metrics solely. You social data should be relevant to all stakeholders within your organization, so avoid using these types of metrics in isolation. *Google Analytics can help you track website traffic, conversions and sign-ups originating from social media channels. *Facebook Pixel allows you to track conversions from Facebook ads, everything from leads to sales. *UTM parameters are short text codes added to an URL to track important data about website visitors and traffic sources. Use it with Google Analytics to get a detailed picture of your social media success. *Social media insights are also very useful for tracking data about your social media fans, post success, traffic sources and reach. Each social channel has its own insights tool which you can find on the Insights tab of your page. Now is the time! Thanks to the internet, the world is at your finger tips. Make sure you leverage these new trends to help you grow your personal brand, freelance career, or accelerate your company to new levels. 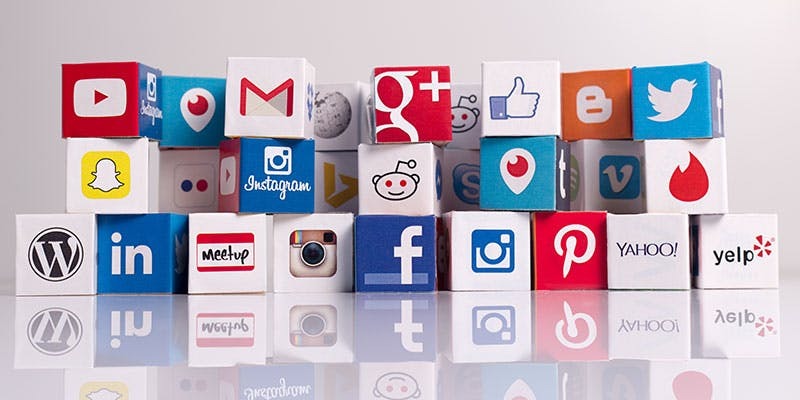 Which of those top social media trends will you use in your content strategy this year?